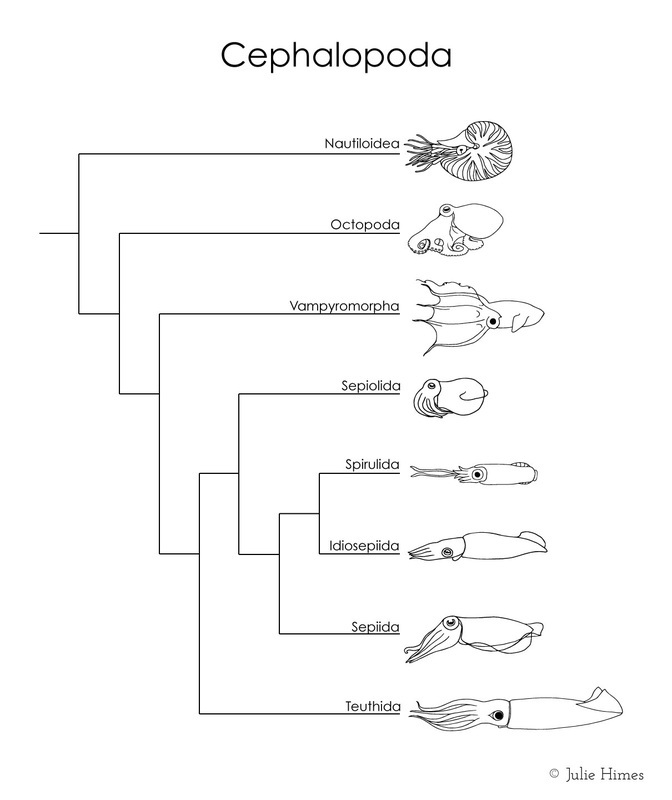 Class Cephalopoda is comprised of three main subclasses; the Ammonoidea, the Nautiloidea, and the Coleoidea. Today, only the Nautiloidea and Coleoidea are still living. Most of the animals that we think of as cephalopods, such as octopuses, squids, and cuttlefish, are coleoids. This illustration outlines the relationships of the extant orders within Cephalopoda.